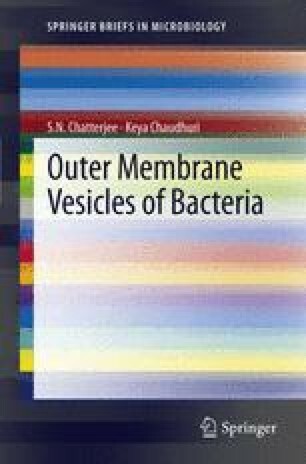 Outer membrane vesicles (OMVs) produced by Gram-negative bacteria exhibit enormous functional diversity depending on the bacterial species and environmental niche: these have enabled various physiological roles for these vesicles to play and at the same time OMVs have found important medical applications. The interaction of OMVs with the host can lead to varied innate immune responses such as direct interaction with immune cells, triggering of cell-mediated immunity, or activation of proinflammatory response leading to cytotoxicity. OMVs were found to carry antigenically active virulence factors and the potential of OMVs for nonreplicating vaccines has been explored in several Gram-negative organisms in animal models. OMVs are being licensed and used for vaccination in combating Neisseria meningitidis serogroup B infections.